In the oldest part of Pendrecht in the northwest there are sloping roofs to be seen, for all the district's modernist image. Tiny neighbourhood shopping centres for day-to-day supplies scattered throughout Pendrecht are to complement the main retail centre at Plein 1953. 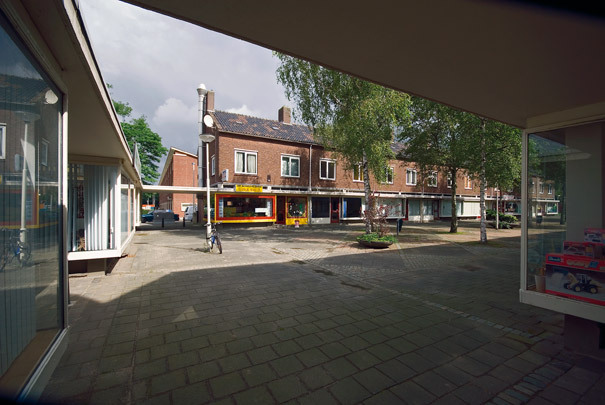 The sensitively crafted shopping street is a kind of miniature Lijnbaan. Designed as a pedestrian precinct, it terminates at a row of so-called island displays under a shared awning, where 'The Construction Workers', two artworks by Han Richters and Koos van Vlijmen, stand guard.